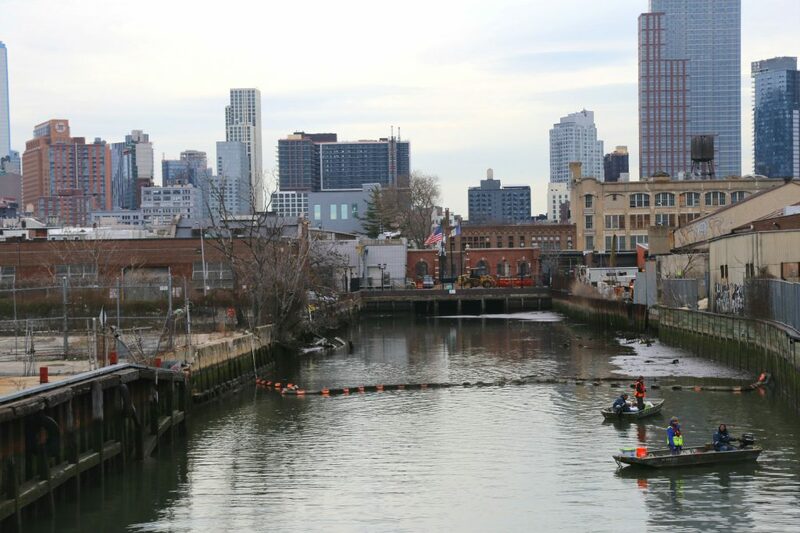 More than 100 years after industries began dumping toxic chemicals into New York City’s Gowanus Canal, a long-awaited cleanup through the federal Superfund program is underway. The first phases of the $506 million remediation project are set to begin this year after the Environmental Protection Agency declared the 1.8-mile canal a Superfund site in 2010 and as the neighborhood undergoes a period of rapid development. Formally referred to as the Comprehensive Environmental Response, Compensation, and Liability Act, the federal Superfund program was implemented nearly 40 years ago to clean up or contain hazardous waste at the worst-contaminated sites across the country, many in or near thousands of communities. 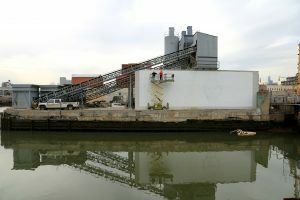 But local project managers last week said the Gowanus cleanup could soon run out of funding, raising questions over whether the project would be delayed and casting light on the difficulties that Superfund projects may be facing under President Donald Trump’s administration. Among the cache of cuts to the EPA proposed in March under Trump’s 2018 “skinny budget” would be a significant reduction to the Superfund program. The proposal calls for slashing the program’s $1.1 billion budget by about 31 percent and transferring the burden of some of the EPA’s functions to states. While Trump has lauded the move as a way to cut the federal deficit, scientists, environmentalists, and some state and federal officials say potential reductions would further dilute the effectiveness of an already-underfunded program, which is charged with remediating more than 1,300 sites across the country. The EPA did not respond to repeated requests for comment. What happened to the Superfund tax? Kimmell said that in 1999 the yearly Superfund budget was set at $2 billion before it was downsized over the course of the next decade. In 1995, a Republican-controlled Congress eliminated a nine-year-old tax on petroleum and chemical industries, which had created a multibillion-dollar trust for Superfund cleanups. The trust is now dissipating. Efforts by Democrats to reinstate the tax have failed, while funding for Superfund projects now relies largely on appropriations from the general tax fund along with a lesser pot of money from companies deemed “responsible parties” by the EPA. Kimmell said the absence of a well-funded trust and a robust legal mechanism have slowed the pace of cleanups. At least 53 million people live less than three miles away from a Superfund site, including about 18 percent of all children in the country under the age of five, a 2015 EPA report found. Approximately 46 percent of those living near Superfund sites are minorities and 15 percent live below the poverty line. Michele Roberts, co-director of the advocacy group Environmental Justice and Health Alliance for Chemical Policy Reform and a former scientist for the Delaware state government, said those communities also tend to have lower education levels, literacy rates, household incomes and housing values, based on her organization’s 2014 report that looked a chemical spills at more than 3,400 industrial facilities. She said that hundreds of toxic waste sites not listed as Superfunds are often found in low-income neighborhoods. Can states handle the cleanup? Lois Gibbs, founder and executive director of the Center for Health, Environment and Justice, said reductions to the Superfund program would weaken the EPA’s environmental enforcement and legal reach to dissect the tangle of issues that come along with the designation. As a mother living in Niagara Falls, N.Y., in the 1970s, Gibbs led the fight against one of the country’s first Superfund sites called Love Canal, after 20,000 tons of toxic waste were discovered buried beneath her neighborhood and a school her child had attended. But much of the process of addressing the massive environmental catastrophe began at the state level before the federal government stepped in. As the former head of a state environmental department, Kimmel said the idea that states could take more control over cleaning up contaminated sites would only go so far, given the size and complexity of some Superfund projects. 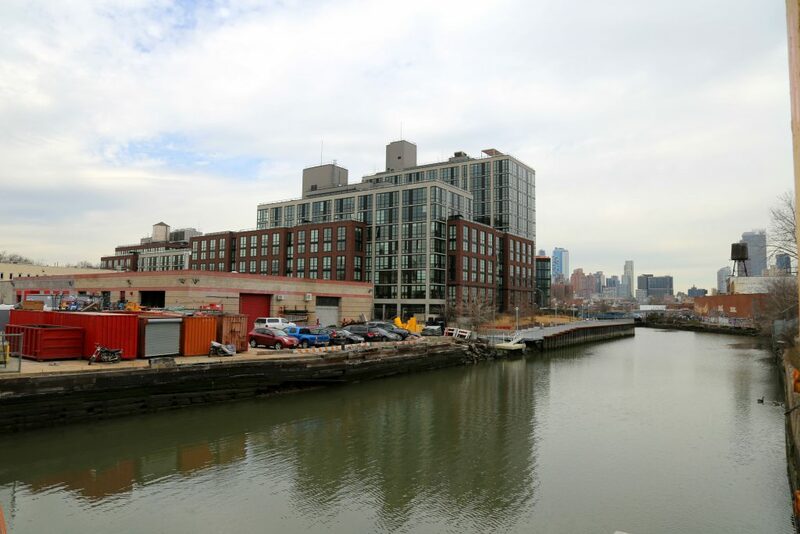 In Brooklyn, Gowanus Canal Conservancy’s Executive Director Andrea Parker said the promise of a cleaner canal has already fueled considerable development in the surrounding neighborhood, even as the amount of affordable housing in the area decreases and some residents worry about displacement. But other locals remain optimistic that the project will be completed despite the threat of cuts to the Superfund program. Several companies that the EPA deemed responsible for the pollution have committed funding and New York City is preparing to address years of sewage overflow into the canal. “This has been a long time coming and we certainly want to avoid anything holding it up,” Parker said.